Canned vegetables make for a fast and simple side dish, perfect for quick fixes and weeknight meals. 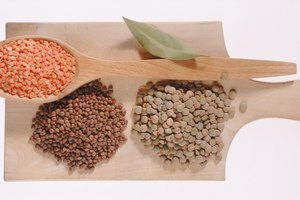 If you'd rather not use the stove, canned peas heat well in a microwave and take only minutes. Microwaving the peas doesn't limit you on seasonings -- you can still add butter, herbs and spices to give the peas a burst of flavor. While the task is simple, use the right technique so the peas will heat evenly and thoroughly. 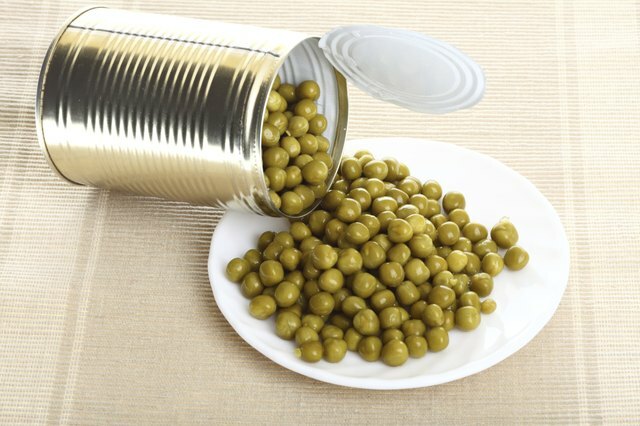 Transfer the canned peas into a large, microwavable bowl. If you'd like to add extra flavor, place a slice of butter over the center of the peas, followed by a sprinkling of salt and pepper to taste. Place the bowl of peas in the microwave and set the timer for 1 minute and 30 seconds. 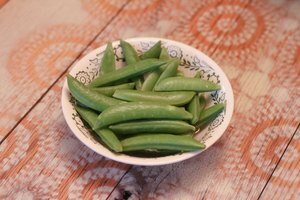 Stir the peas every 30 seconds so they are cooked evenly and there are no cold spots. Allow the peas to cool for 1 minute before serving.